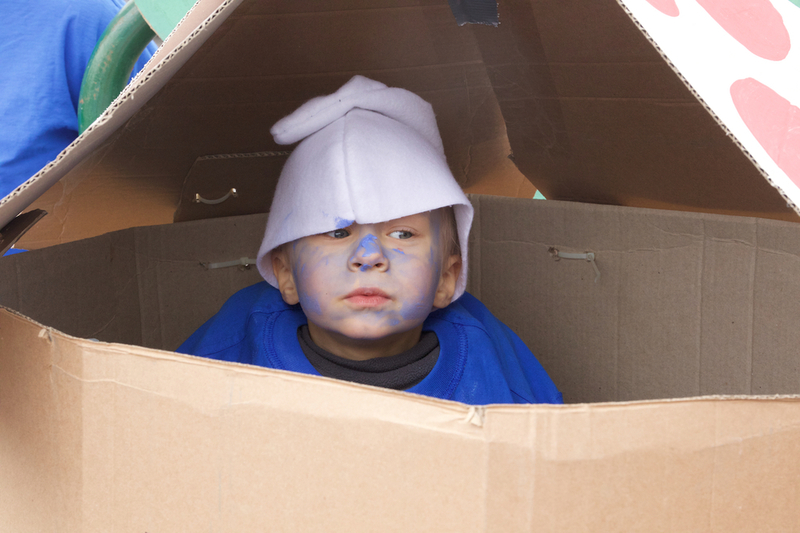 We are trying out some ads on Facebook, please LIKE them help us get more interest. 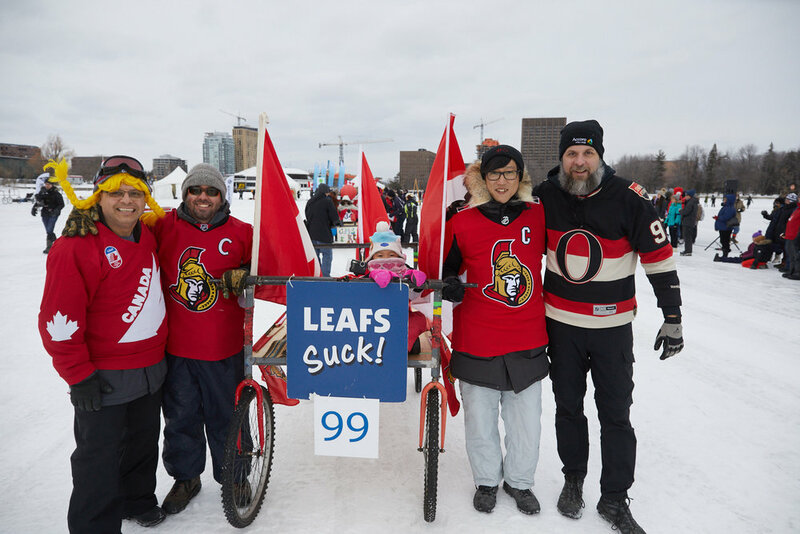 We also have a poster available if you have a place to post one. 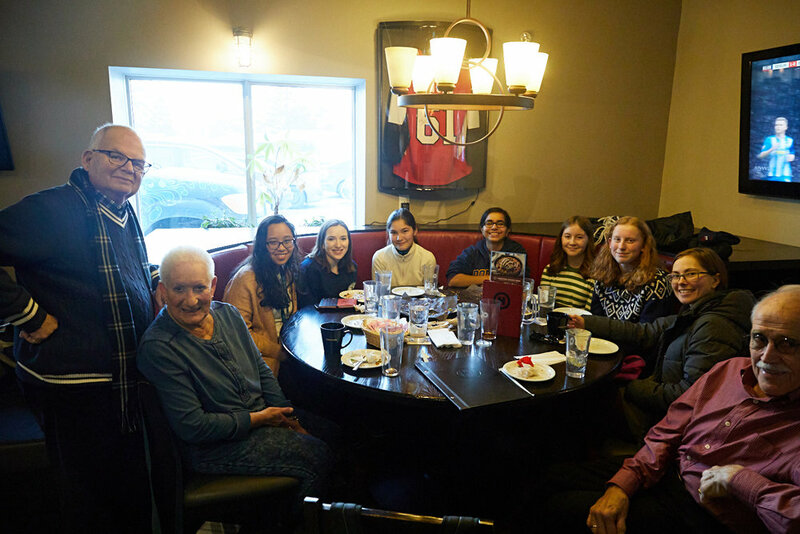 A great get-together for our luncheon at Milestones to celebrate the success of our 13th annual Kiwanis Bed Race. 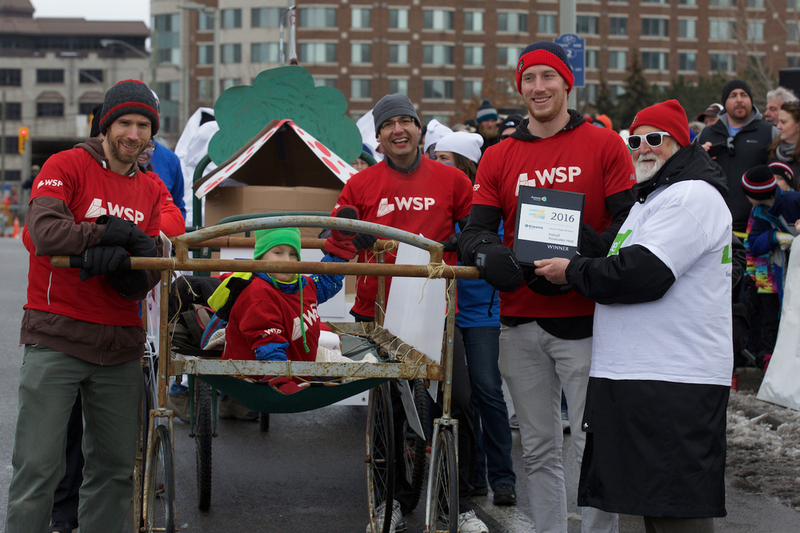 We were pleased to recognize Accora Village, the title sponsor for the 4th year, of our Accora Village Bed Race for Kiwanis, and to recognize the hard work done by a few of the winning teams such as WSP (formerly Halsall) and the International Union of Elevator Constructors. 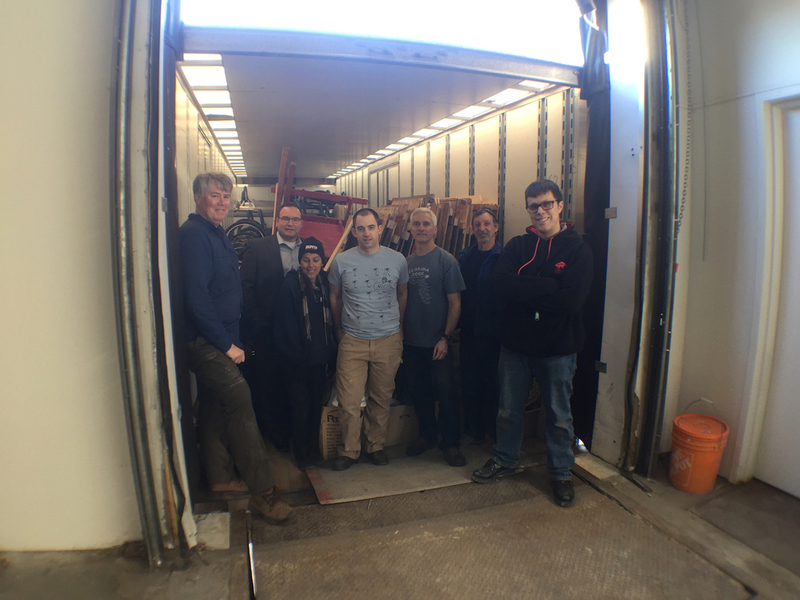 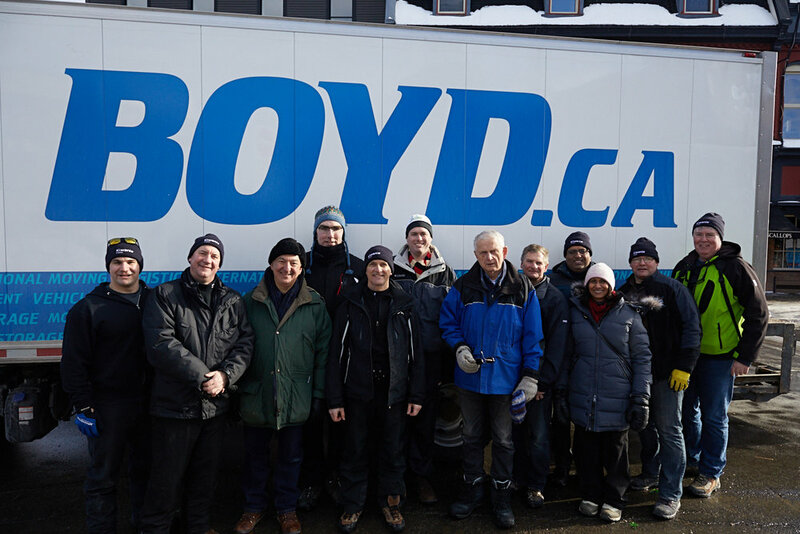 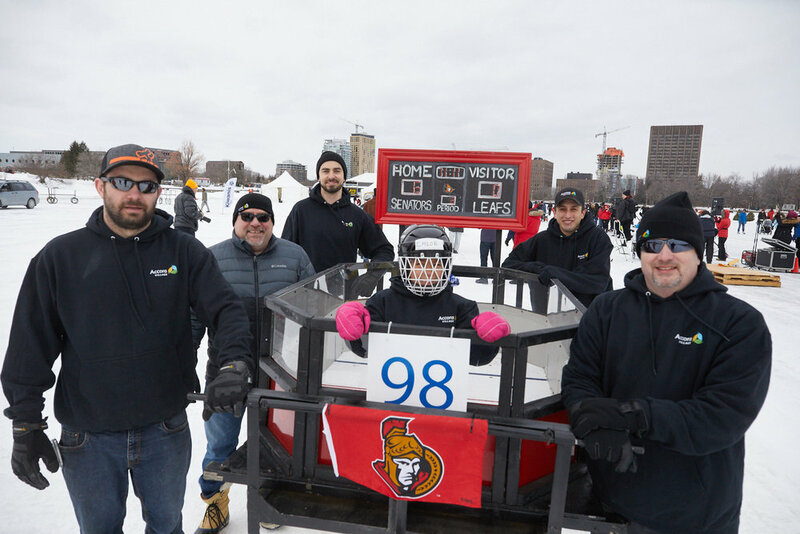 Algonquin College Welding was recognized for putting our beds together more professionally that we can do, and we were happy to be able to recognize Heritage Canada for their quick and reliable relocation from the Rideau Canal to Laurier Street when the canal became unusable. 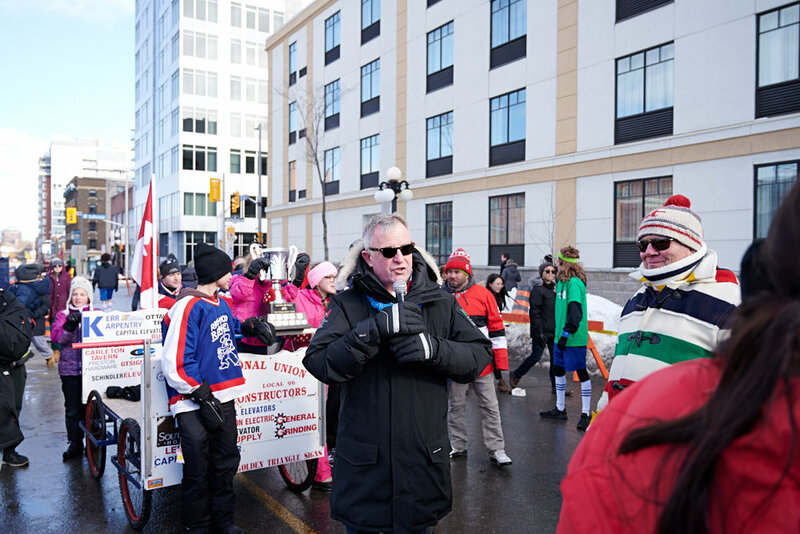 The Queensway-Carleton Hospital Foundation was presented with a cheque for $10,000.00 as our contribution. 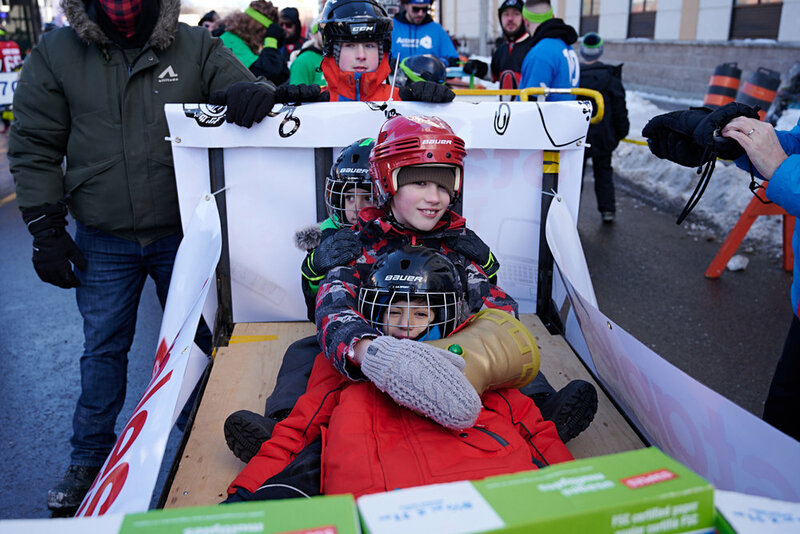 Thank you to the committee and all the volunteers who once again made the Bed Race a success with net proceeds of approximately $42,000. 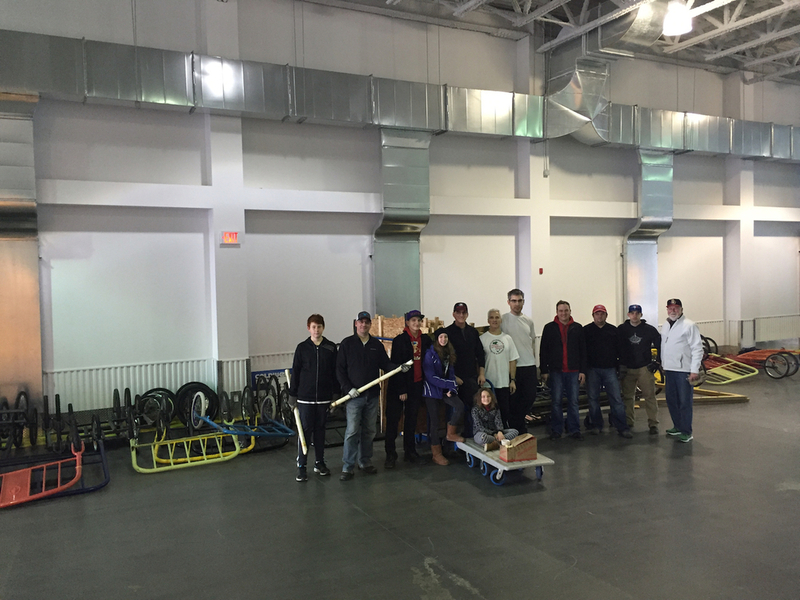 These funds will assist us in supporting our sponsored youth and other programs of our Club. 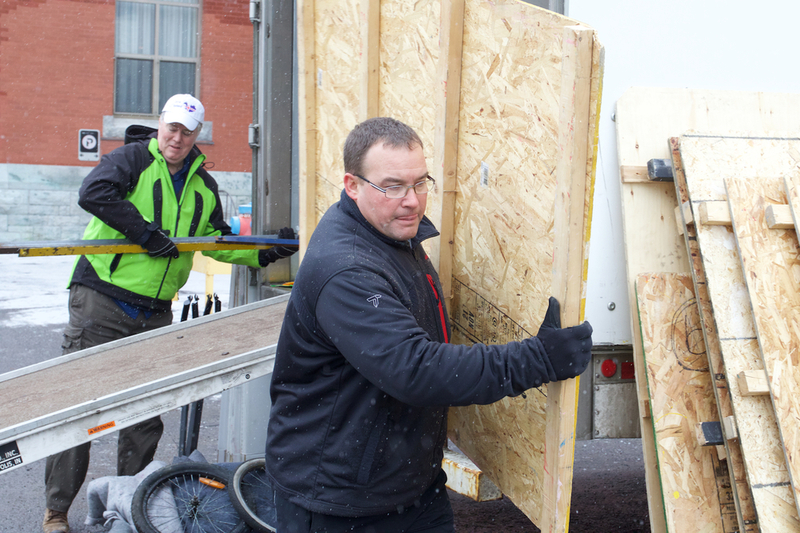 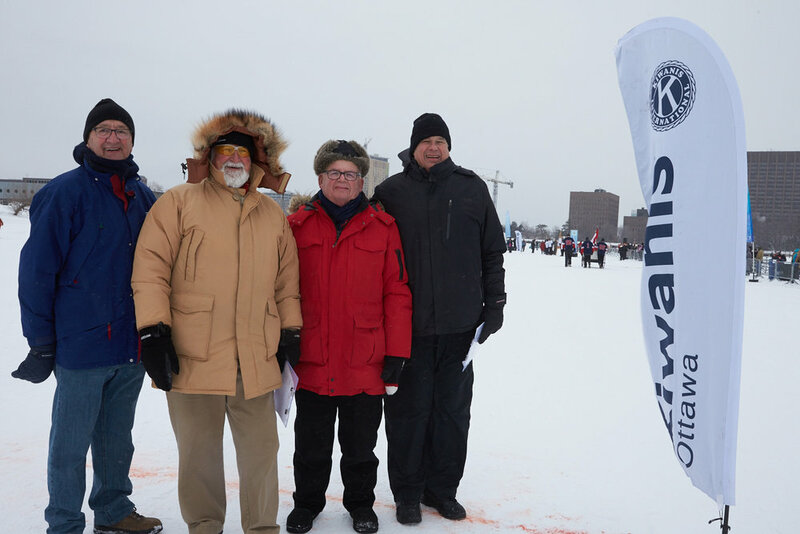 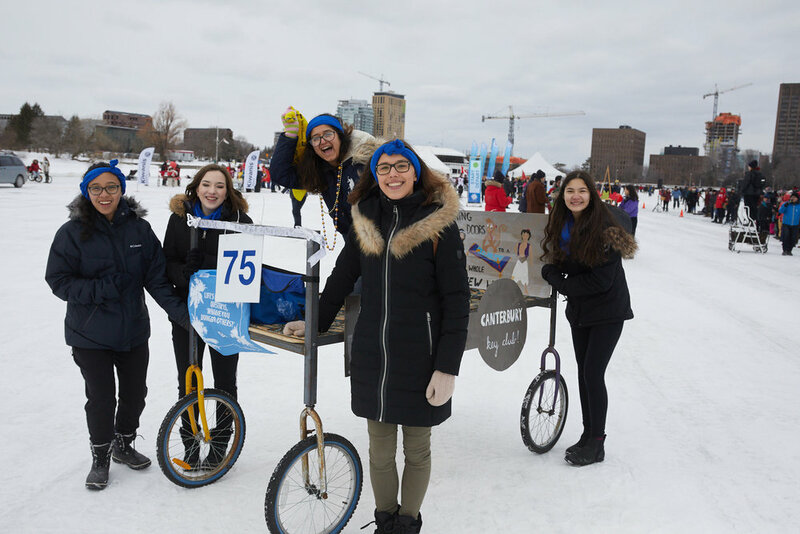 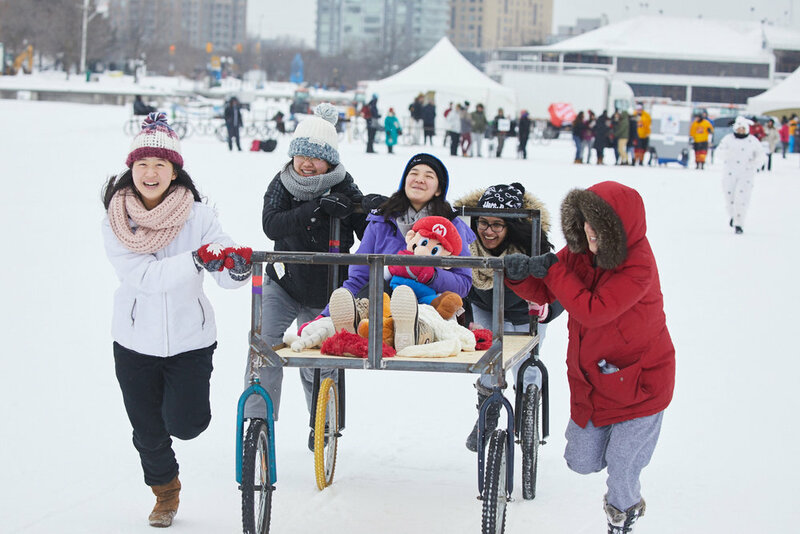 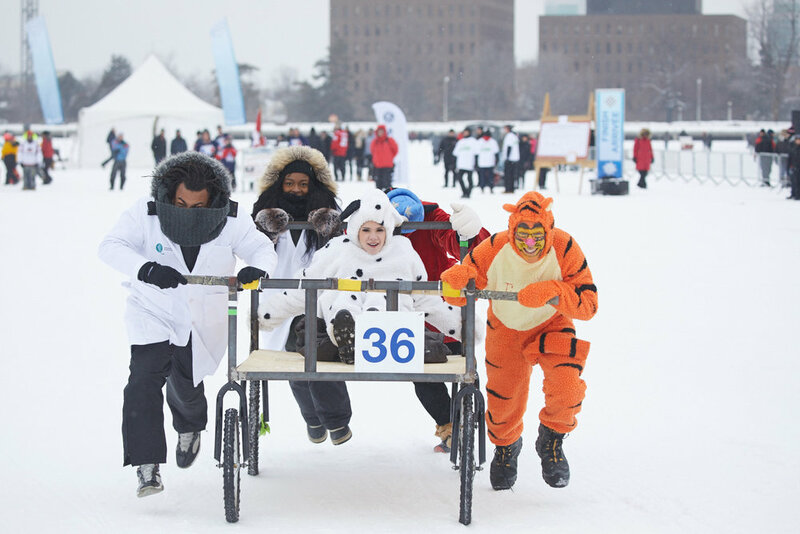 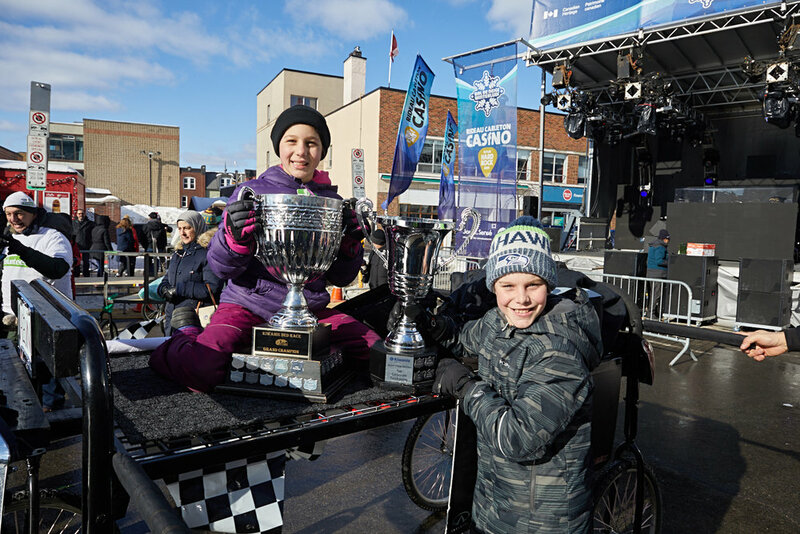 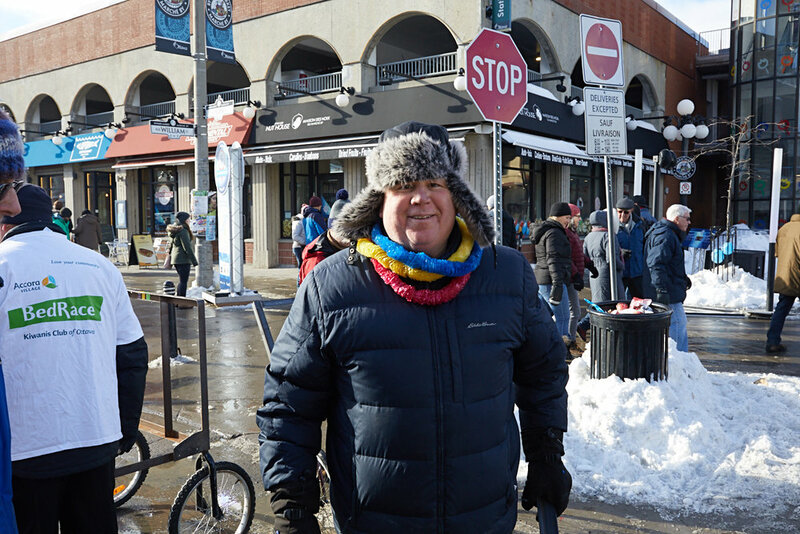 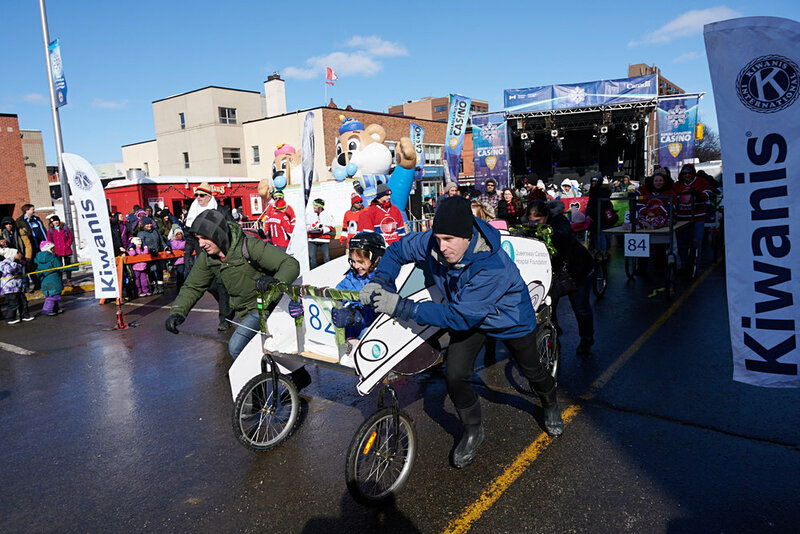 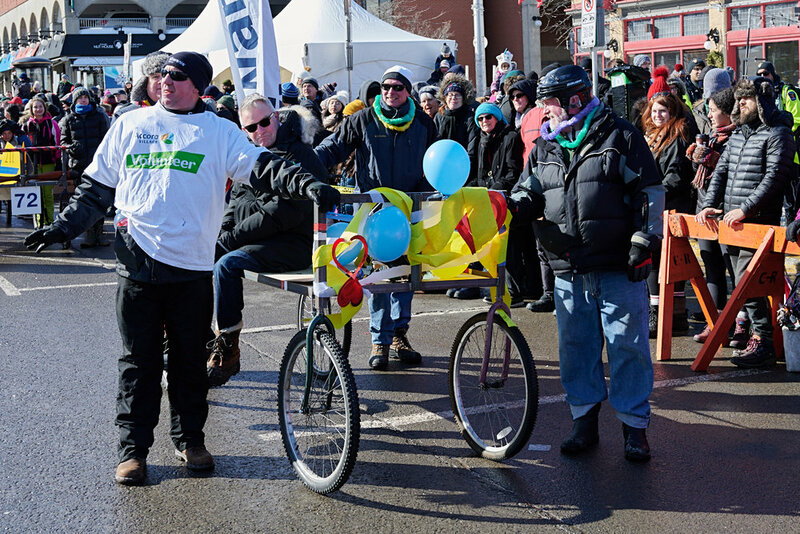 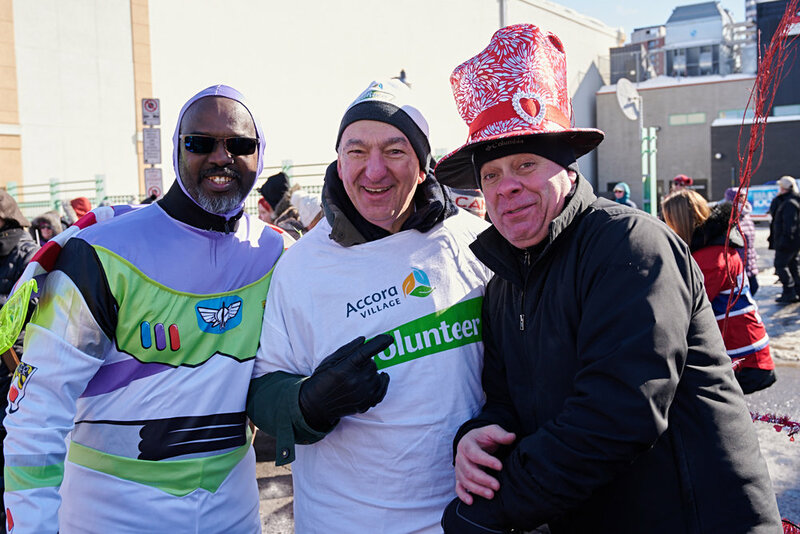 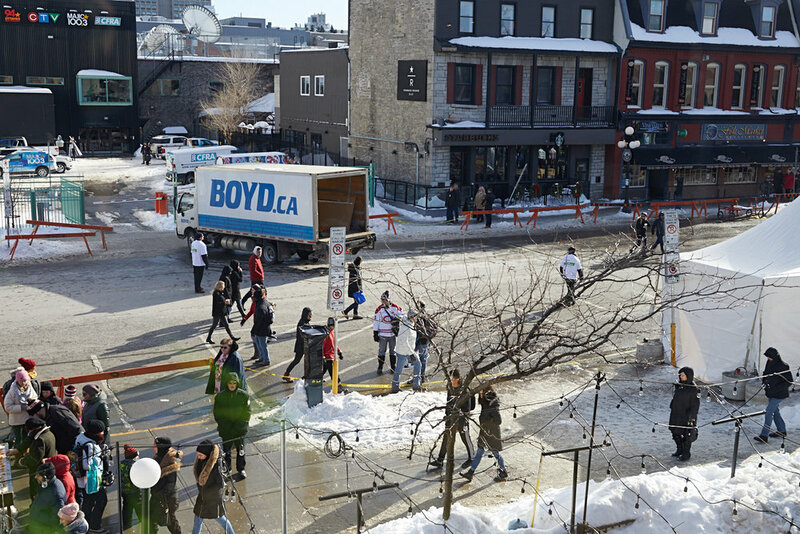 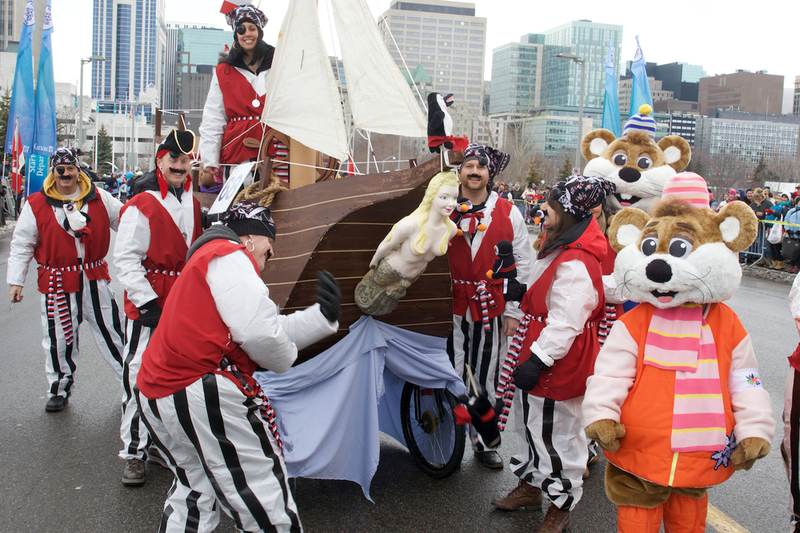 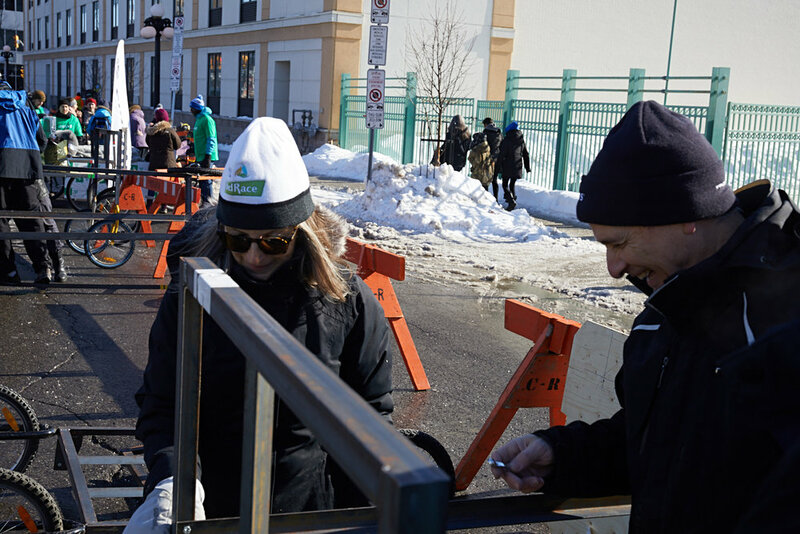 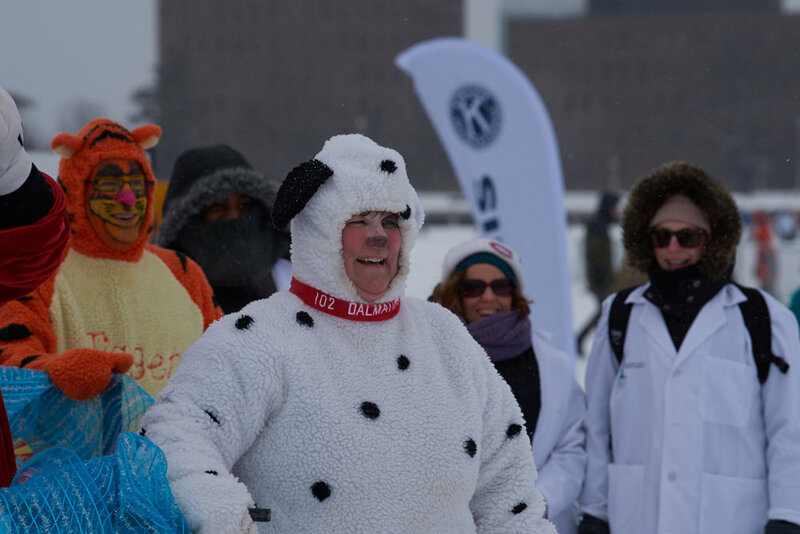 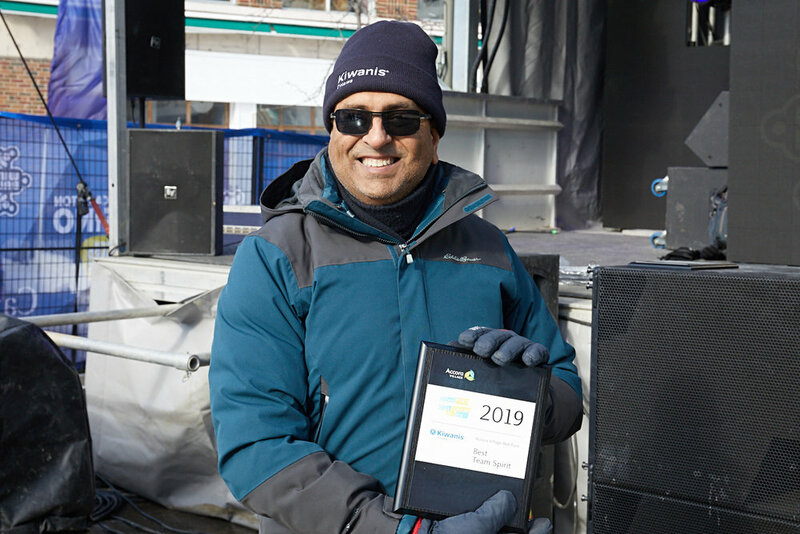 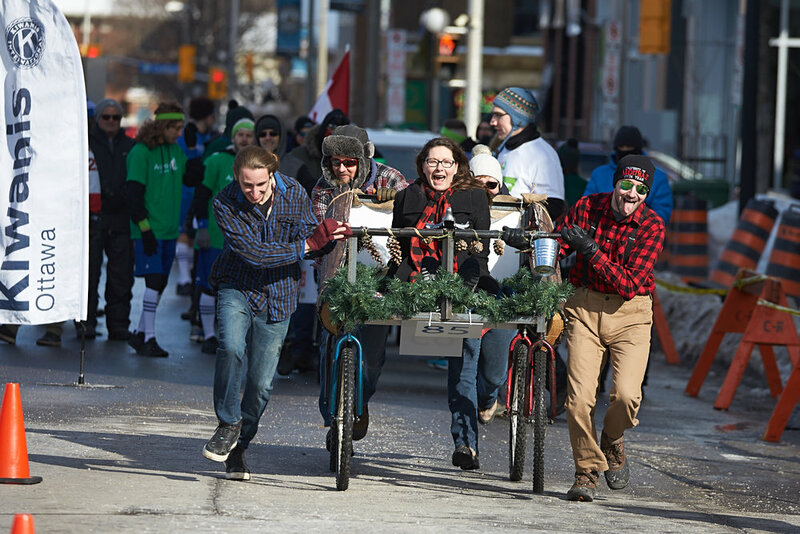 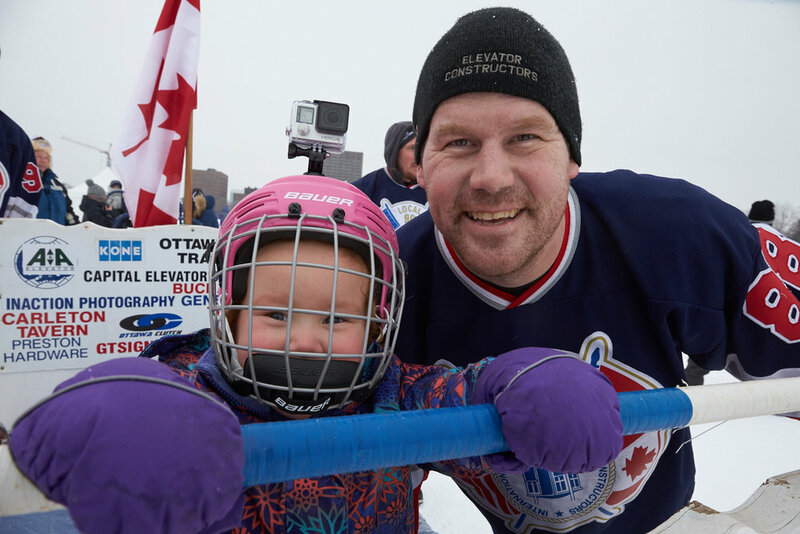 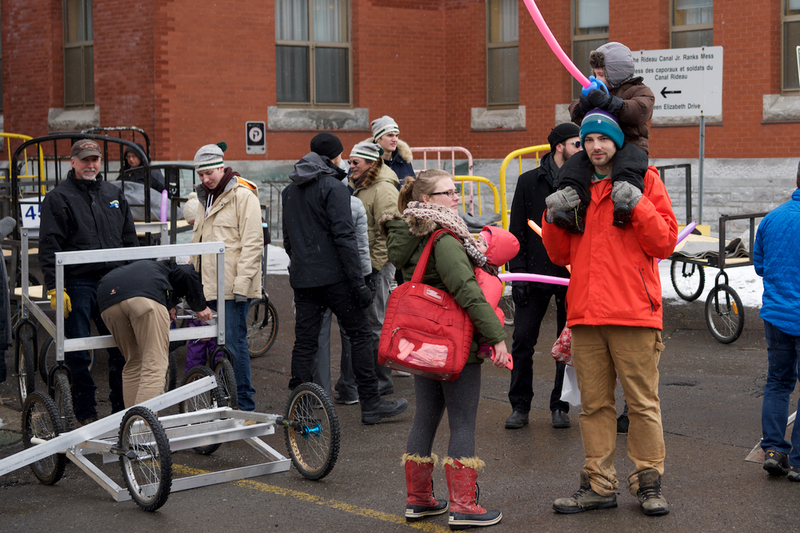 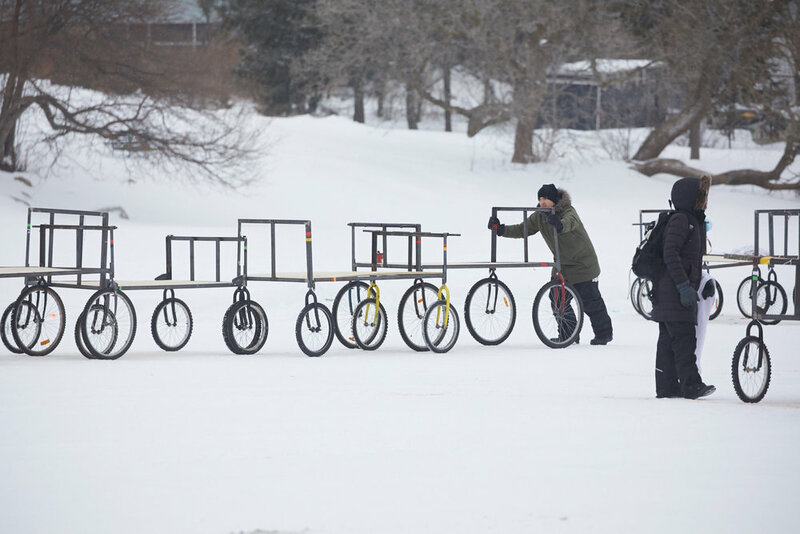 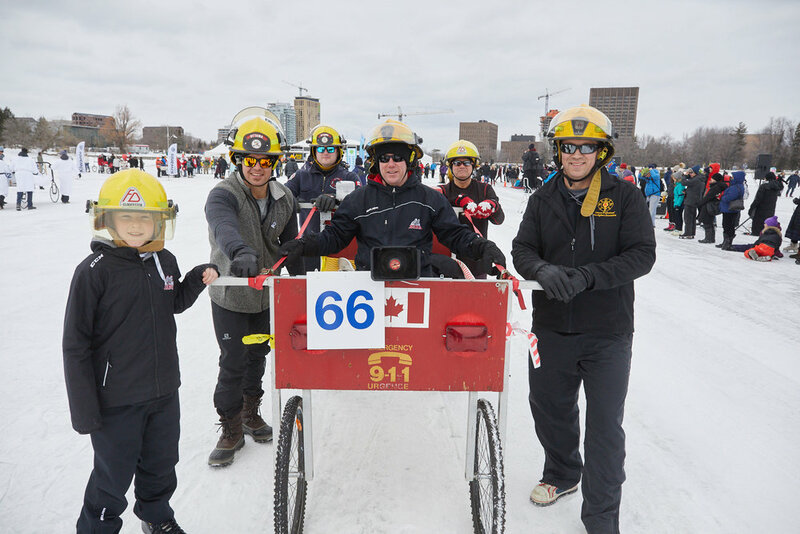 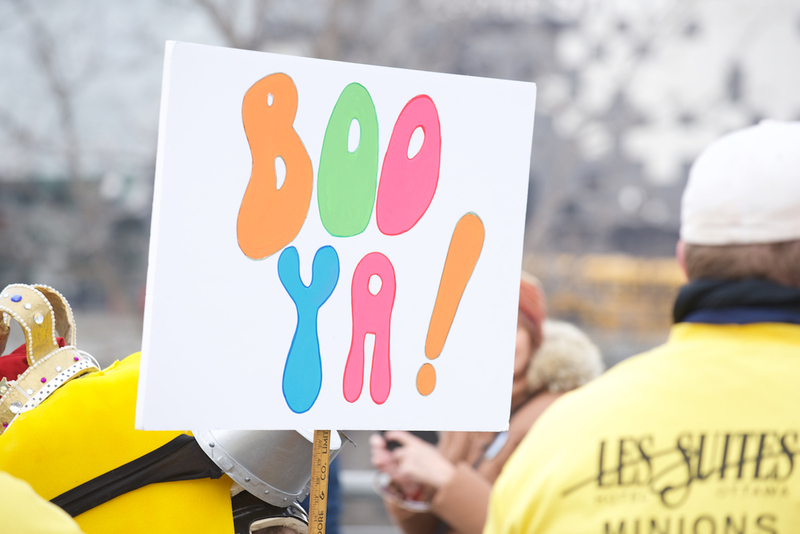 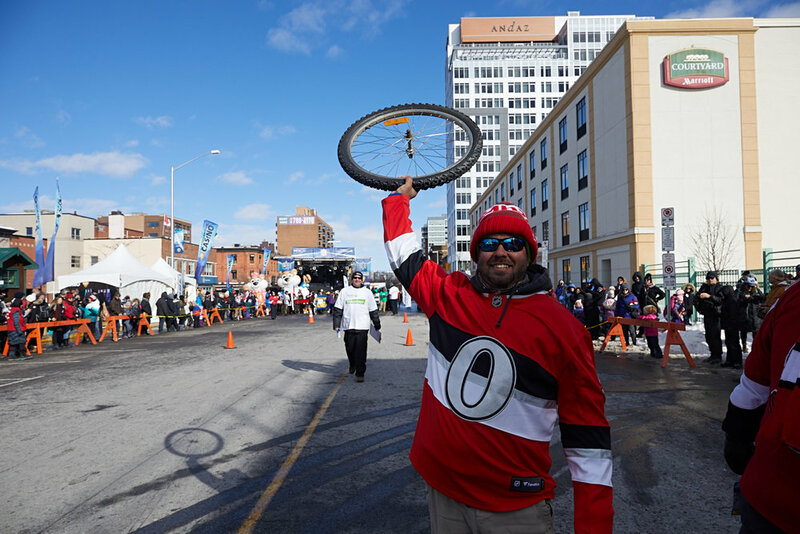 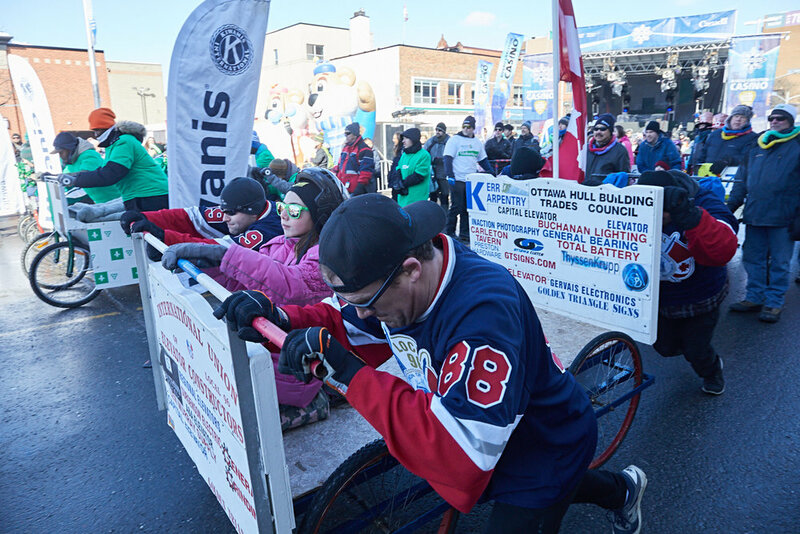 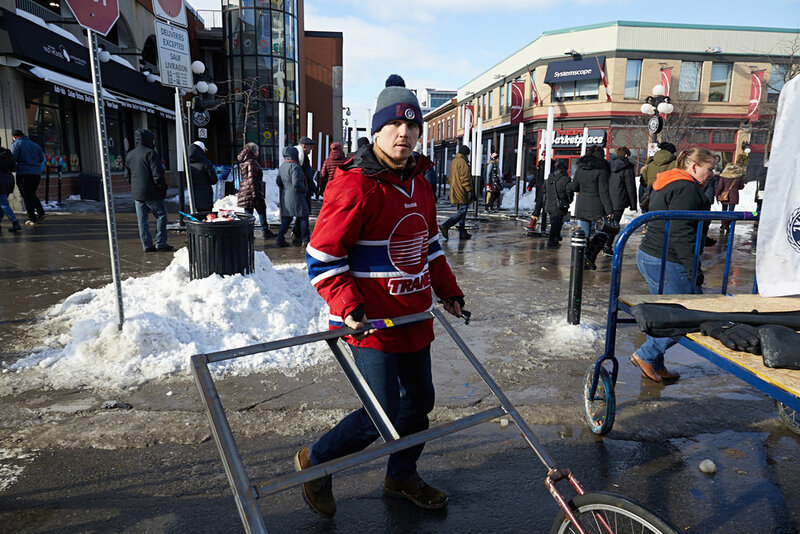 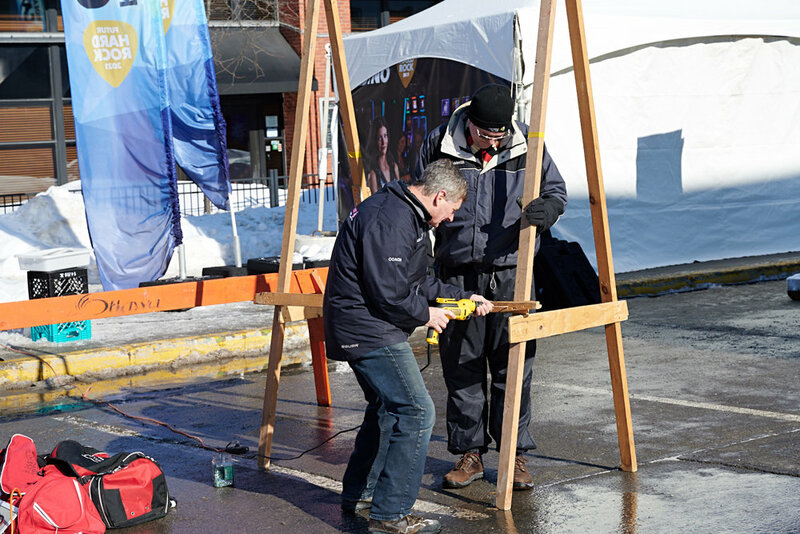 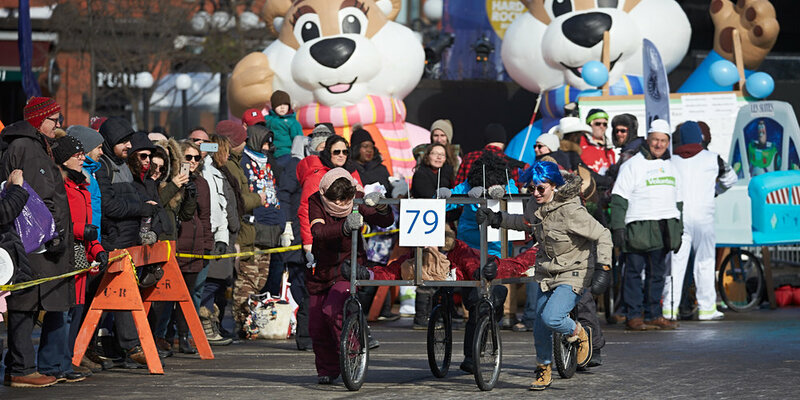 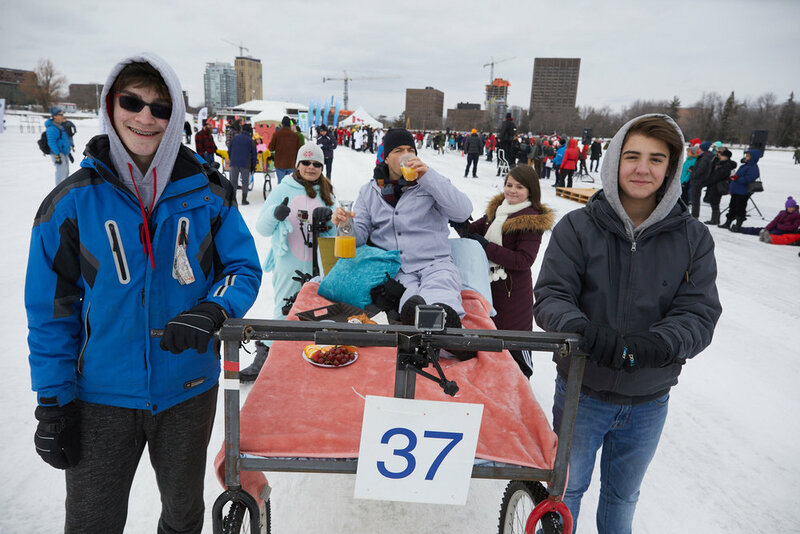 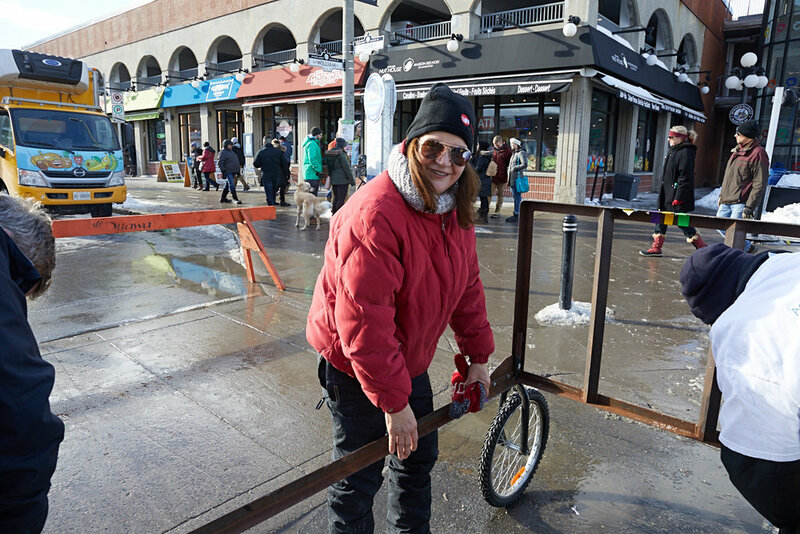 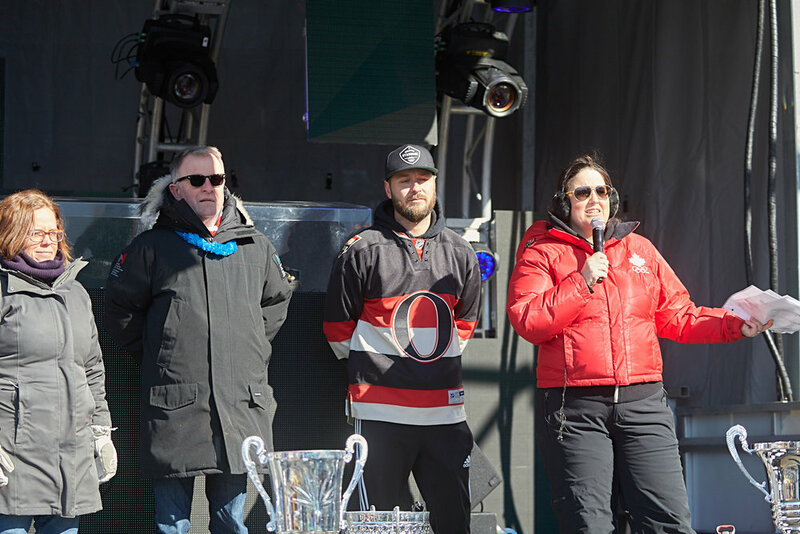 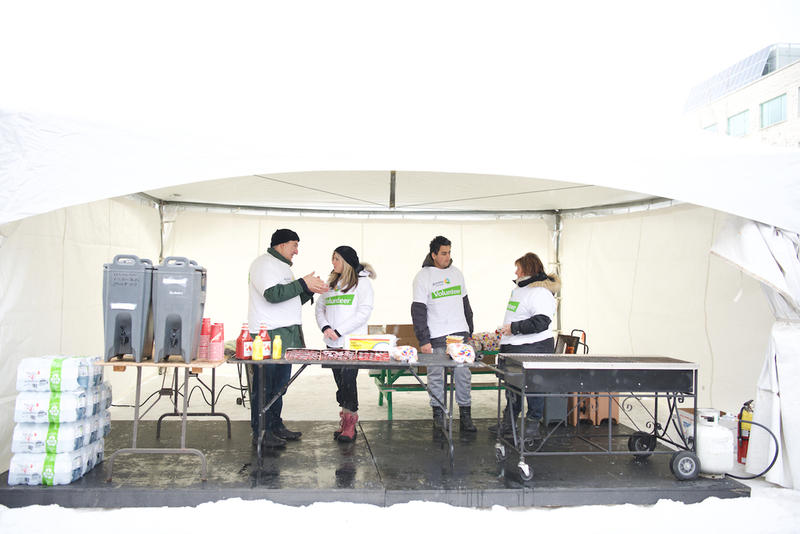 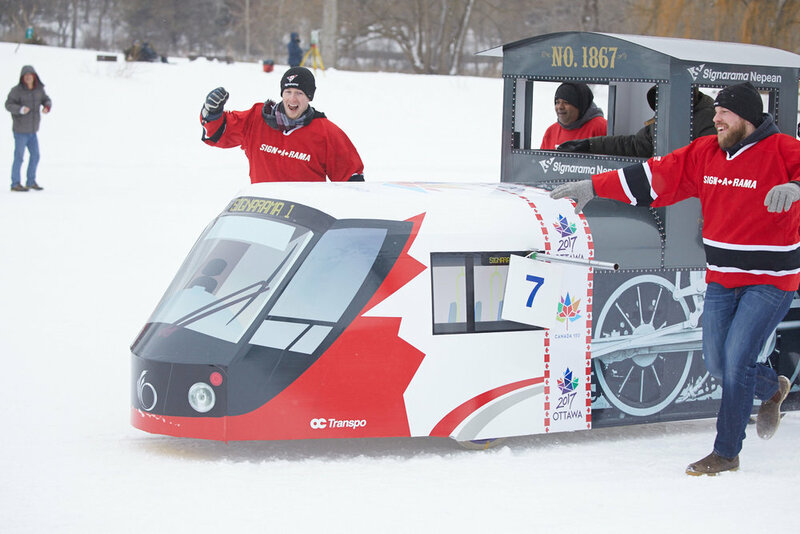 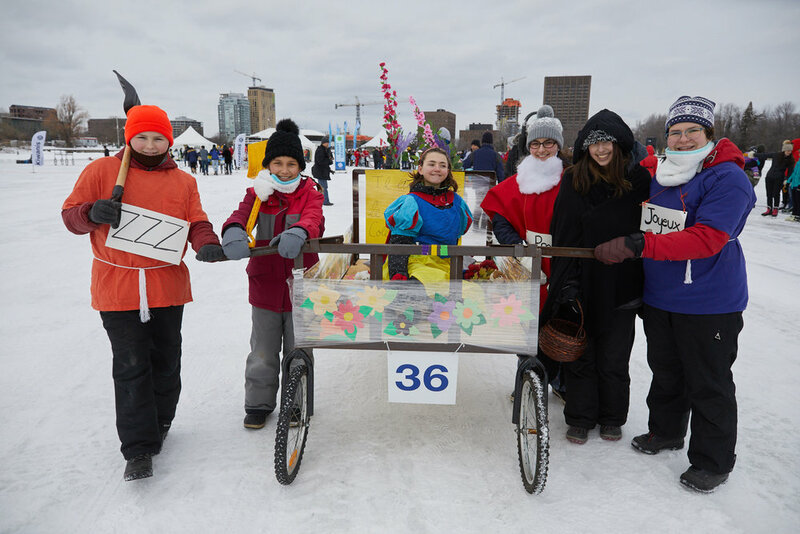 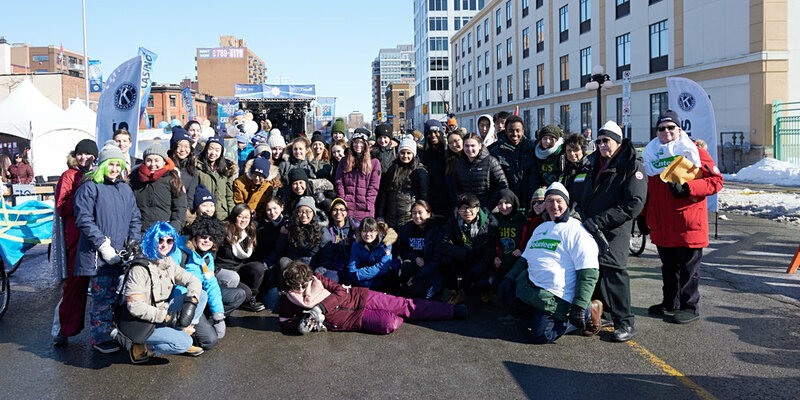 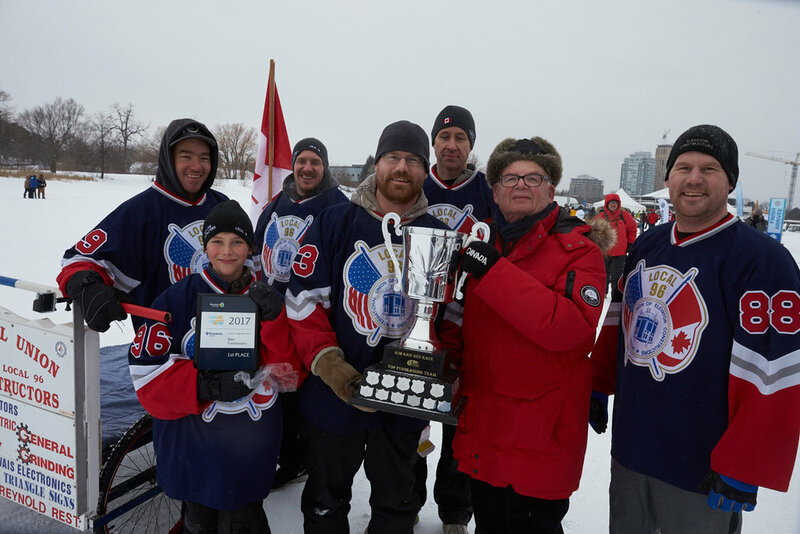 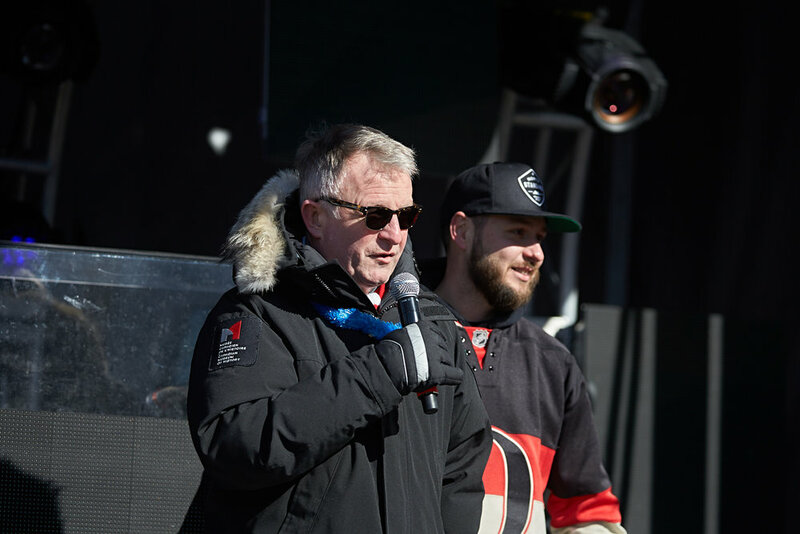 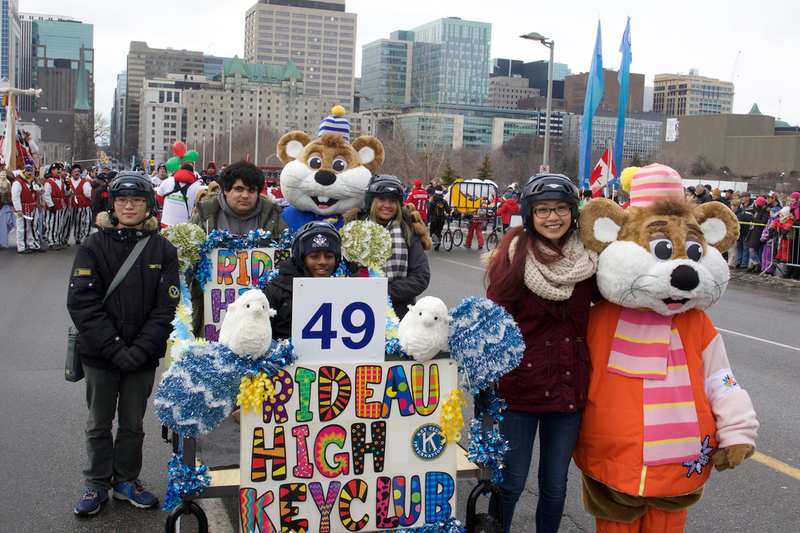 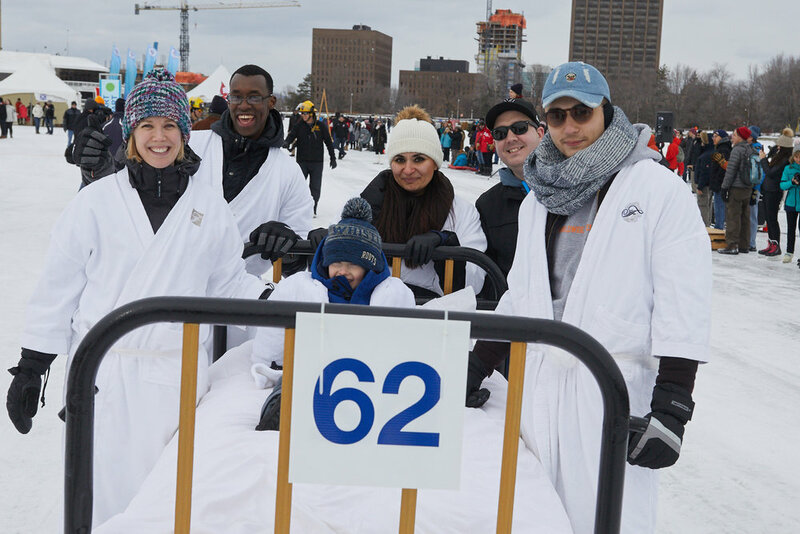 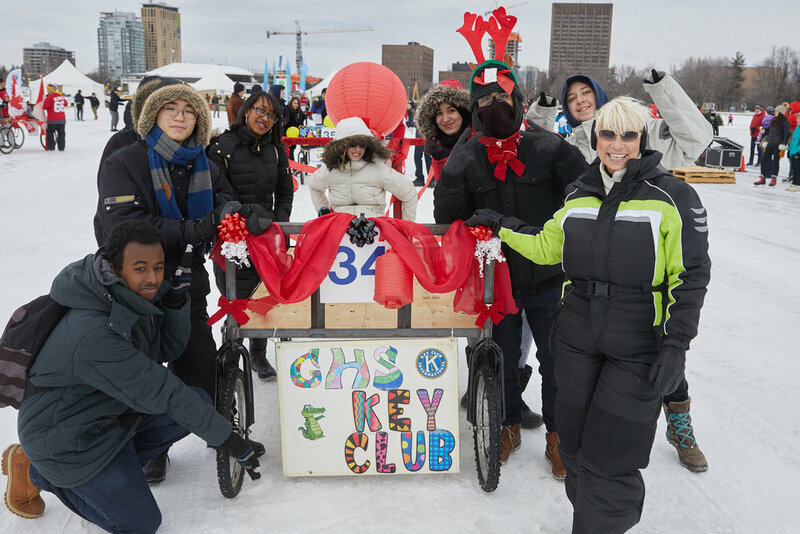 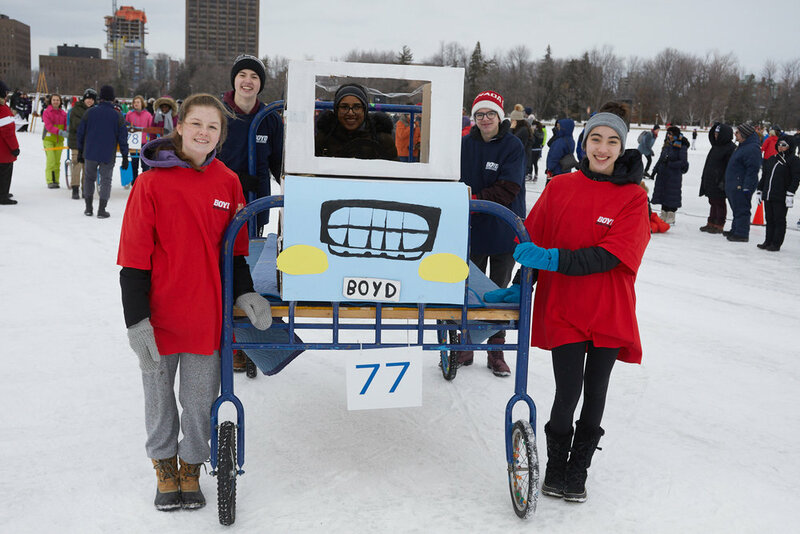 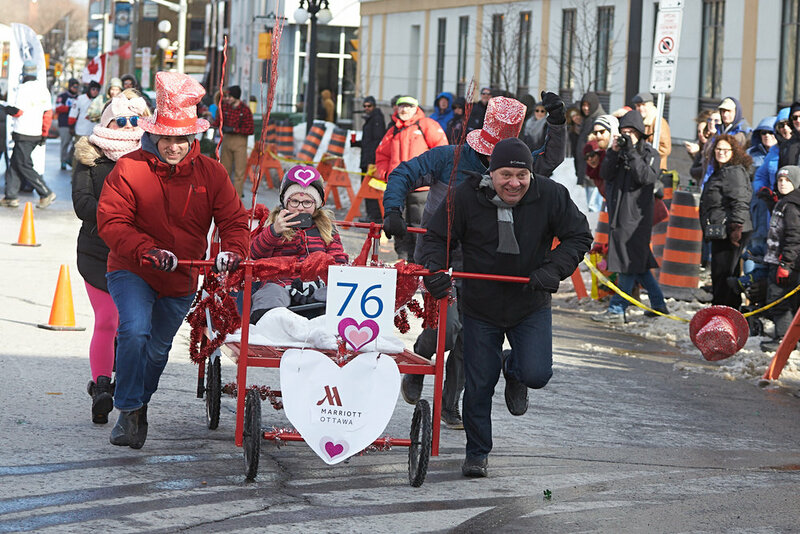 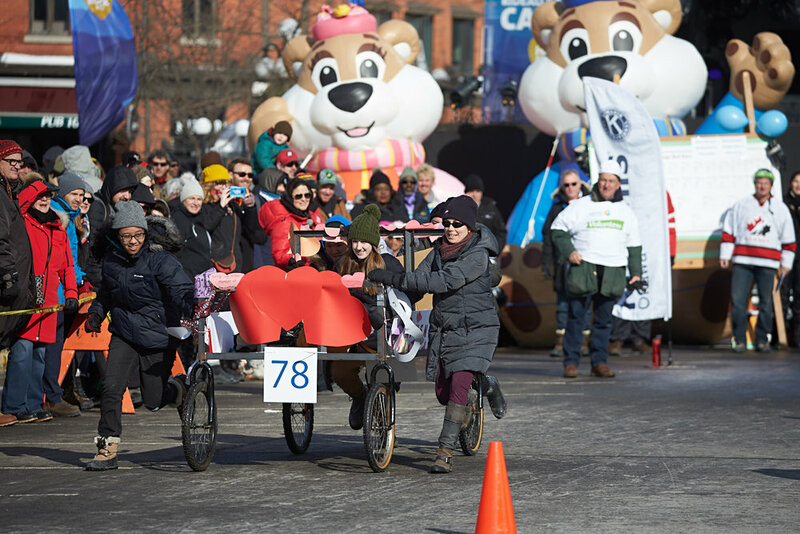 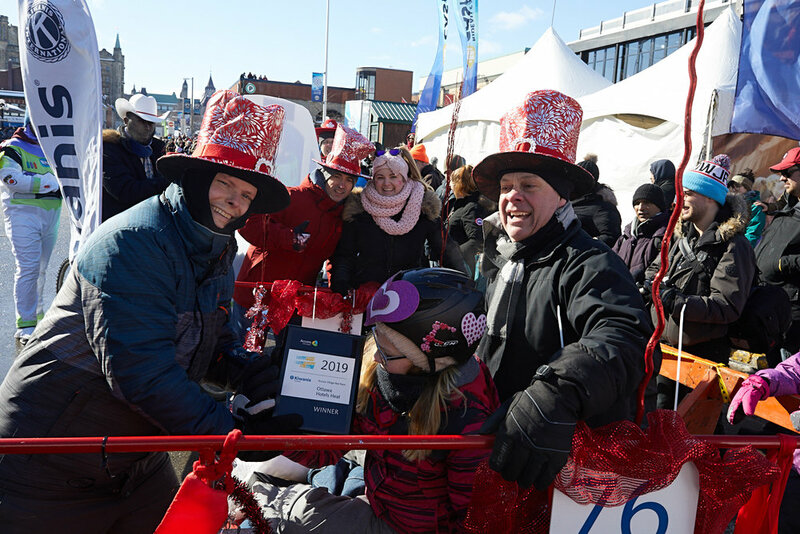 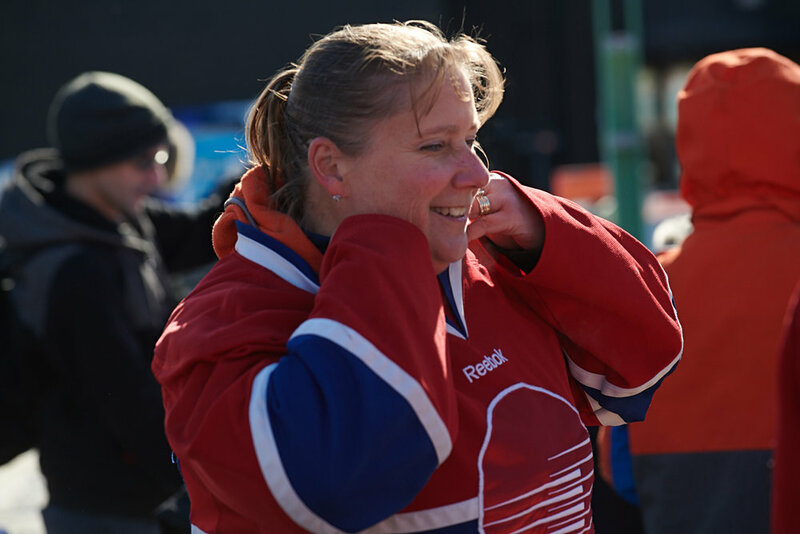 The Accora Village Bed Race for Kiwanis was forced to change locations to the Laurier Steet Bridge, and the event came off with lots of smiles on the second weekend of Winterlude with $40,000 being raised for Kiwanis Club of Ottawa projects. 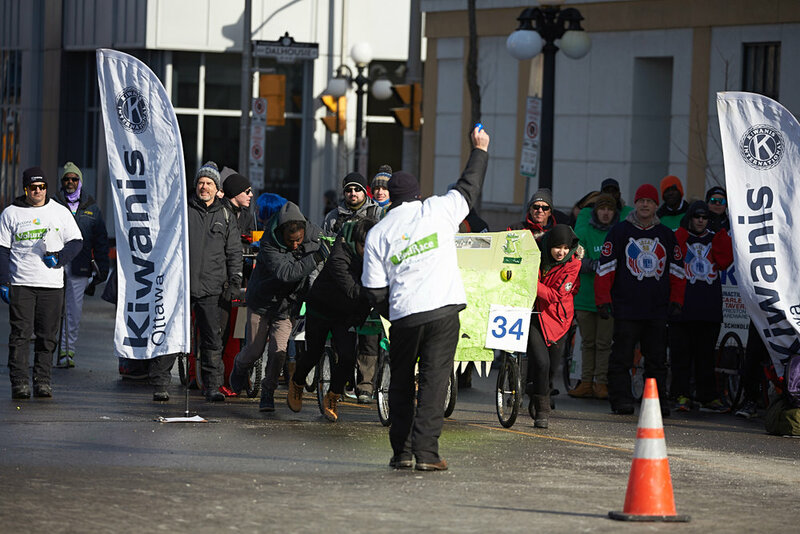 The final race had to be one of the closest on record, with a slo-mo video below giving you a feeling for it. 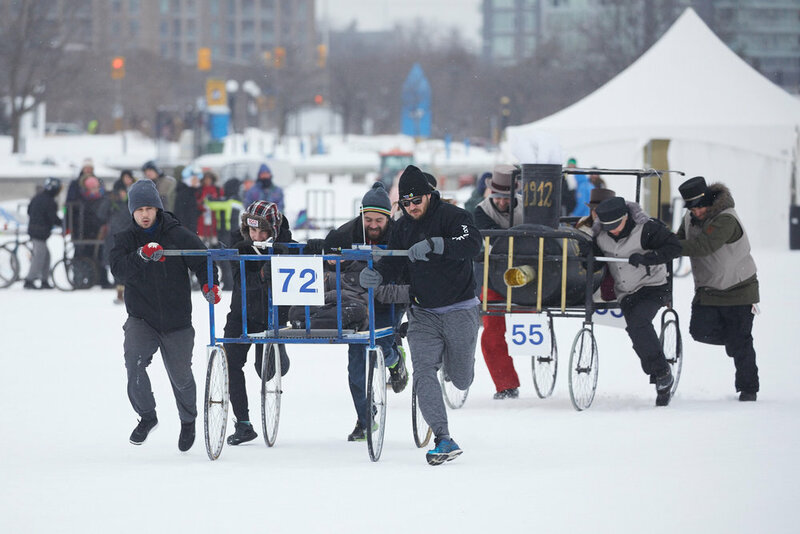 Here are a few photos from race day, with lots more available here. 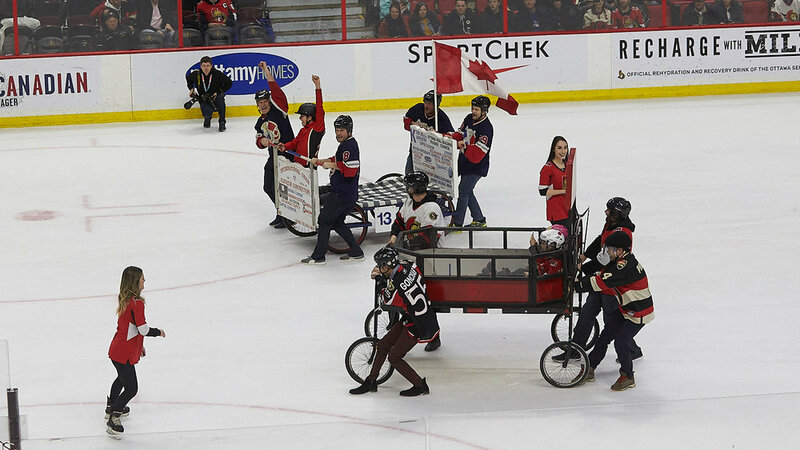 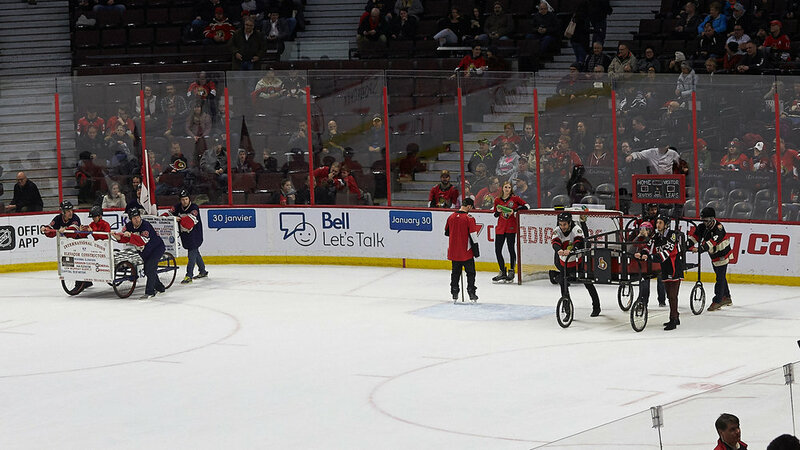 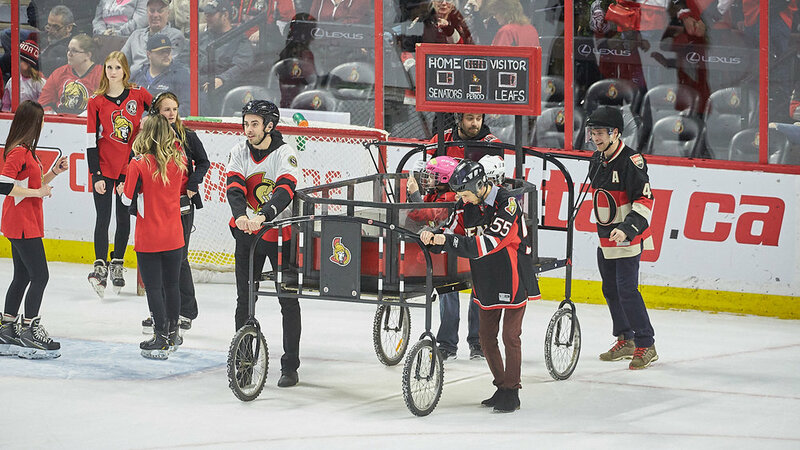 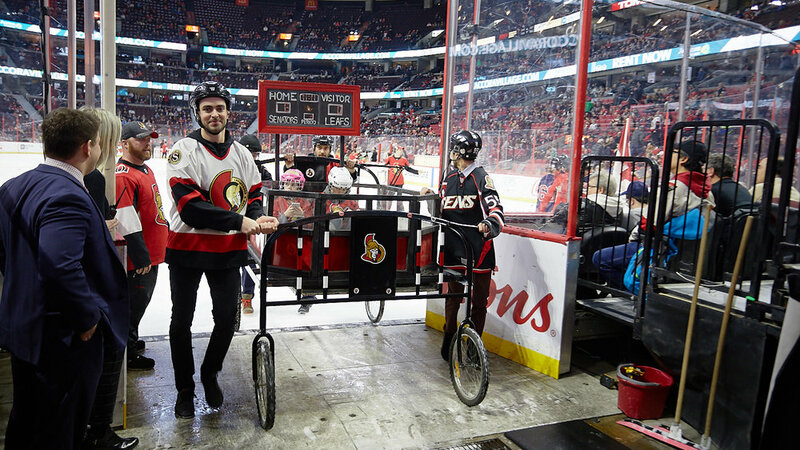 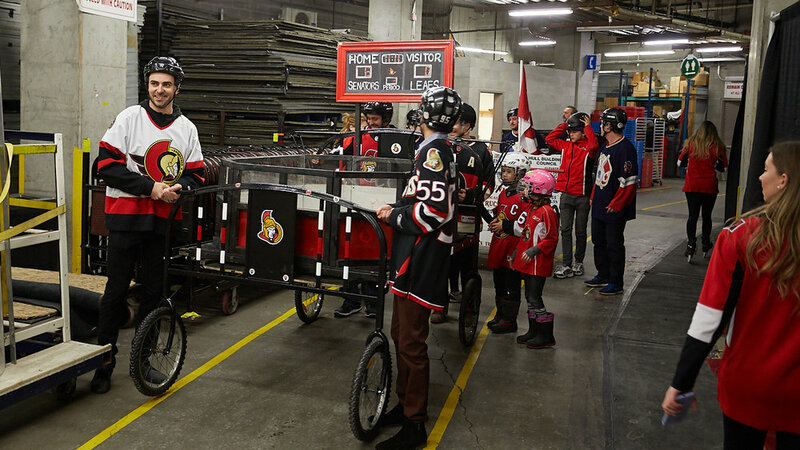 On Sunday, January 24th, between the 2nd and 3rd period of the game between the Ottawa Senators and the NY Rangers, the Club ran a single bed race to show off much fun the event can be. 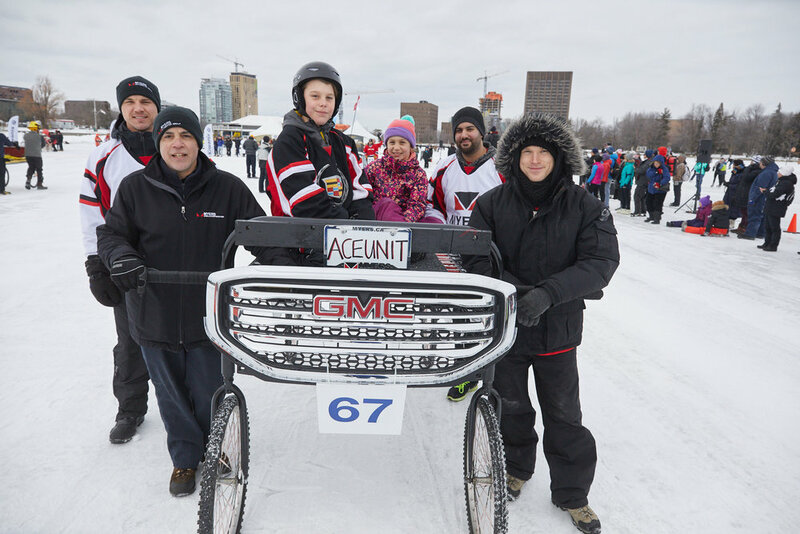 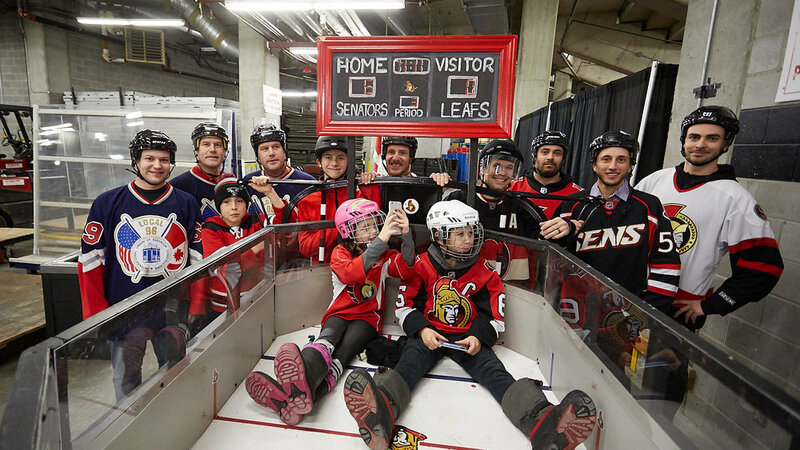 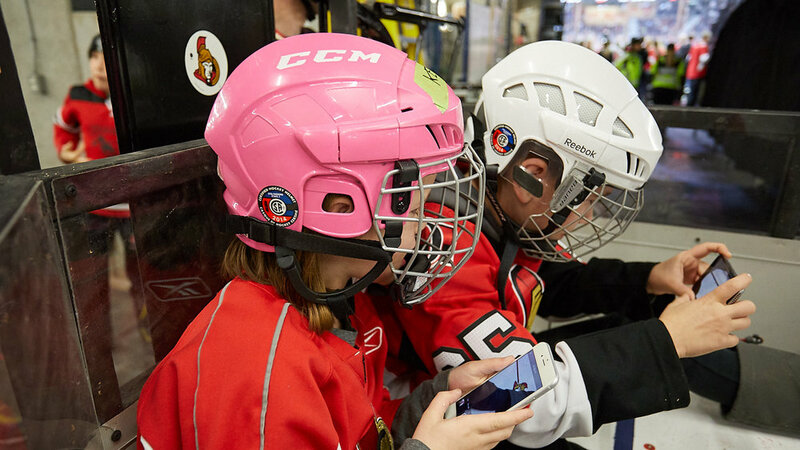 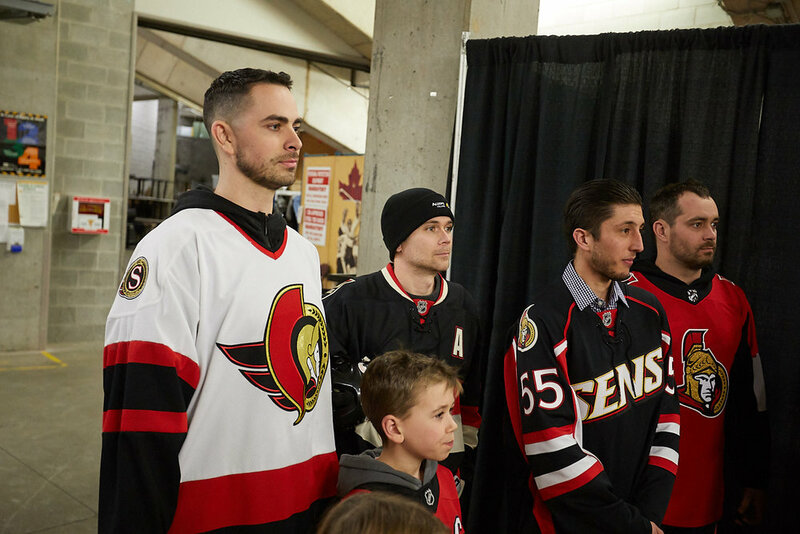 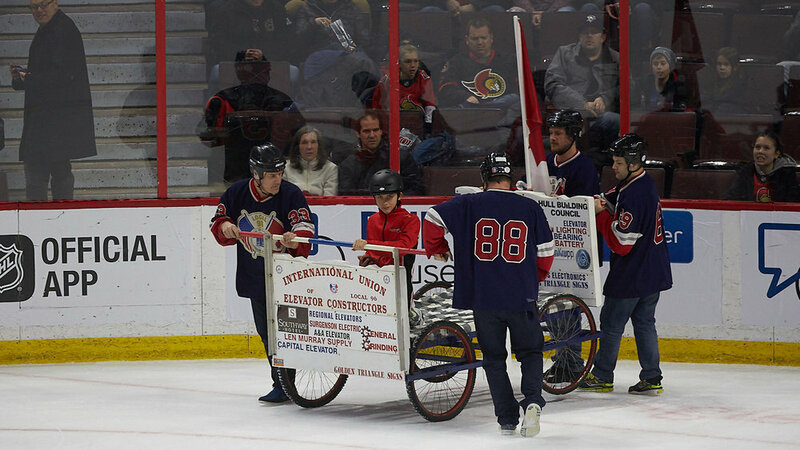 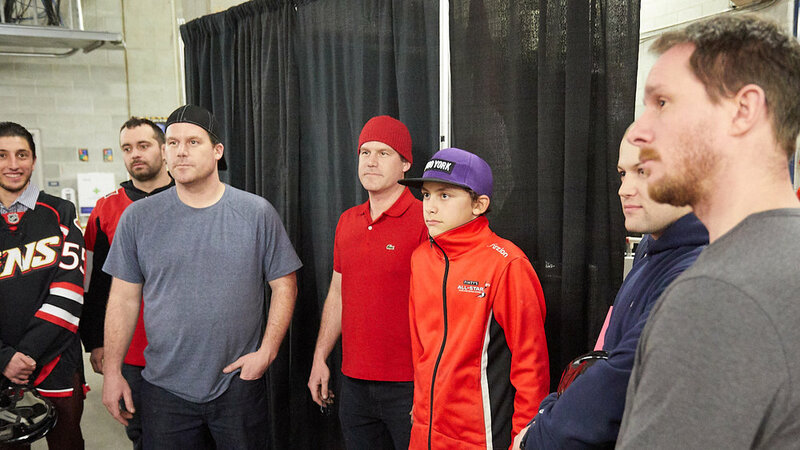 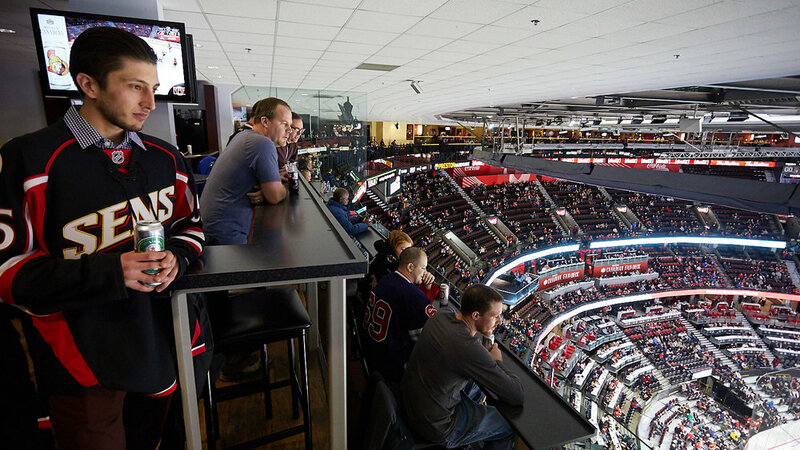 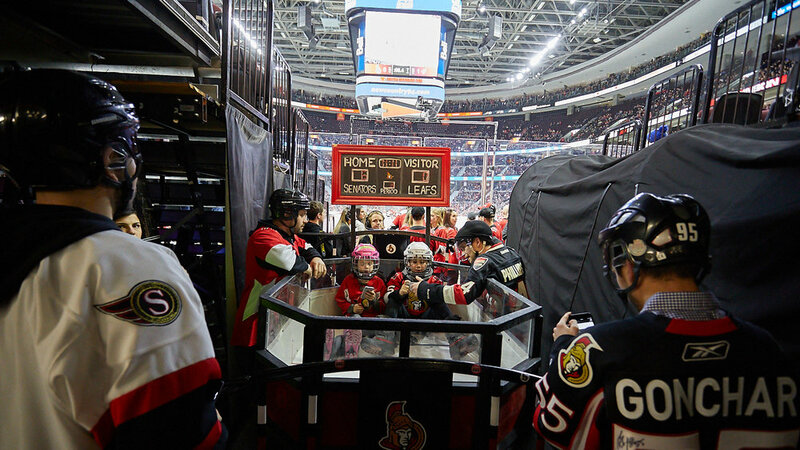 Our thanks to the Sens for hosting us, and to the Accora Village (our title sponsor), Algonquin College (a gold sponsor and bed maker), the Chateau Laurier (13 year participant) and the International Union of Elevator Constructors (last year's fastest bed and best fund raiser) for racing. 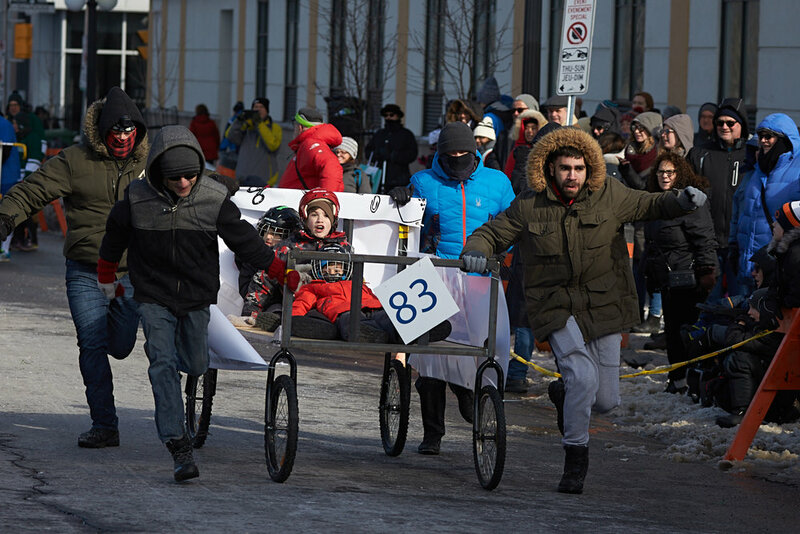 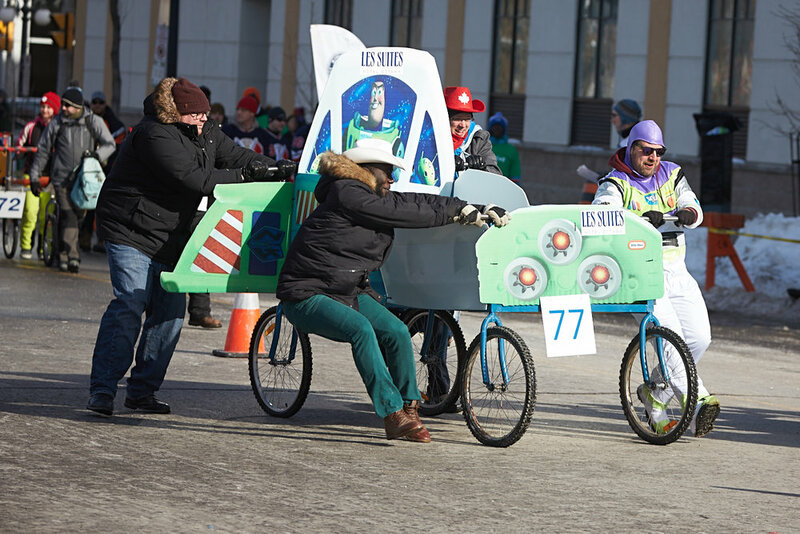 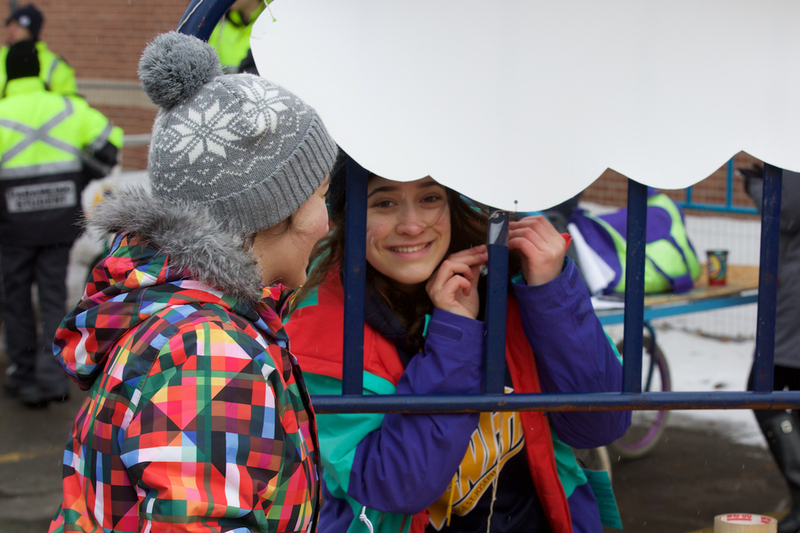 Tons of fun to be had at the Accora Village Bed Race for Kiwanis on February 6th, with room still left for teams.